Heat-tolerant and drought-tolerant are phrases to look for when selecting the best varieties to grow where summers are very hot. Humidity, especially warm, humid nights, leads to fungal diseases, so it's also good to look for fungal disease resistance. Beans: If you want green beans and shelling beans throughout the summer, it's best to expand your repertoire to a few different species. The common green bean, Phaseola vulgaris, doesn't handle drought or high temperatures. But lots of classic Southern beans love our high-heat summers! Try growing Southern Peas (Cowpeas) like Whippoorwill, White Acre, and Pink Eye Purple Hull. Asparagus Beans (Yard Long Beans) also love heat and humidity - they're slightly firmer than green beans and quite a bit longer. They're commonly used in Thai curries. Green Pod Red Seed is the classic, reliable heirloom. If you're in the Deep South, Chinese Red Noodle takes advantage of the long season and is more heat tolerant. Lima Beans (Butterbeans) are generally very reliable in heat, humidity, and drought. 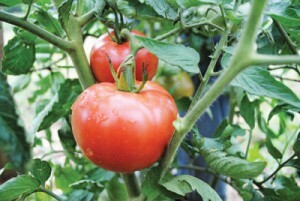 Peppers: Nematode resistant bell peppers are the best choices for Southern gardeners. Carolina Wonder and Charleston Belle are both excellent. Hot peppers generally thrive in heat and humidity. (Lots of hot places use hot peppers in their cuisines - perhaps because these plants grow so well in hot climates!) Sweet, spicy Aji Dulce peppers have an unusual, complex flavor, with just a hint of heat. They're generally unaffected by pests and diseases, but they take a little longer to mature than most peppers. Cucumbers: Find out which diseases are problems in your area and use the resistance codes to help you choose what to grow. Little Leaf H-19 (from the University of Arkansas) has excellent disease resistance and is well adapted to very hot summers. 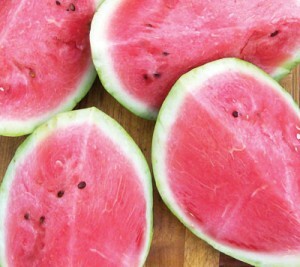 It's classified as a pickler, but it's also very tasty sliced and in salads. Ashley is a slicer particularly recommended where disease is a problem, but my favorite choice for a heat-loving slicer is Suyo Long (the long, slender fruits are best grown on trellises). 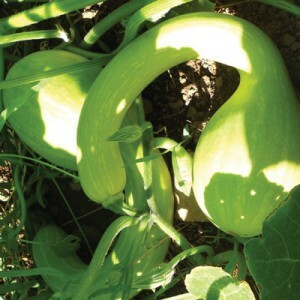 Summer Squash and Zucchini: We recommend growing Moschata type summer squash if you have trouble growing summer squash and zucchini in your hot climate. The Moschata types have better pest and disease tolerance and produce well straight through very hot summers. Tromboncino summer squash has the extra advantage of also making excellent squash blossoms for stuffing. Waltham Butternut winter squash can be harvested small (3-5") for eating like summer squash. (Moschata types need nights above 60 degrees F to grow well.) You might also try edible Luffa gourds. When harvested small, they're a great summer squash alternative. Winter Squash and Pumpkins: As with summer squash, we recommend choosing moschata types when growing winter squash and pumpkins in the South. (Avoid pepo and maxima types.) Pretty much any moschata will thrive through hot summers, but particularly productive varieties are Seminole Pumpkin, Waltham Butternut, and Tan Cheese. Green-Striped Cushaw is from another type of squash altogether (argyrosperma or mixta). We know Southern gardeners who won't grow anything but Cushaws: they're super productive through our summers and their seeds are very large and tasty. The flesh tastes a little different than most winter squash and not as sweet, but it can be used in pies if you add extra sweetener. Okra: Choose older and heirloom varieties of okra with deeper root systems. The deep roots give these plants resistance to nematodes and improved drought and heat tolerance, but these varieties also usually take longer to mature. Gold Coast is a variety particularly noted for its deep roots, but Stewart Zeebest and Beck's Big Buck also are excellent heirlooms for the Deep South. Greens: Lettuce is very difficult to grow outside when it's hot, and spinach is pretty much impossible, but don't give up on summer salads and cooked greens. For cooked greens, Swiss chard and turnip greens are the best choices in the South. These plants are biennials, which means they usually won't bolt (go to seed) until they've gone through their first winter. So they stay tender and mild all summer. Sweet potato greens, New Zealand summer spinach, and the young leaves and shoot tips of squash can all be used for cooking greens. We strongly recommend Red Malabar summer spinach to anyone who hasn't tried growing it yet. The crisp, slightly succulent leaves stay mild in high heat and maintain healthy growth all summer. The gorgeous red vines need to be trellised or caged, but this keeps the leaves clean. They're excellent as cooking greens and in salad mixes.